Don’t want to give away who they are if you haven’t read the series or read this book. 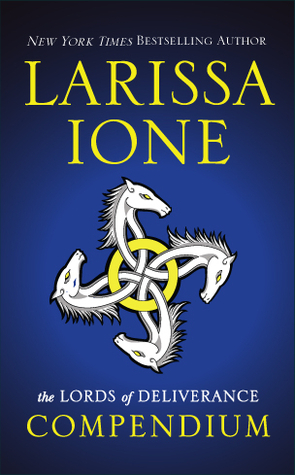 Larissa even answers some reader questions that we’ve been patiently waiting to know. Then…the big whopper is when you’ll get a sneak peek into the latest book “Lethal Rider.” I love sneak peeks. Makes me want the next book right away which I just got and will be spending time reading it.